Get yourselves down to the She Shredders session every Saturday for 6 weeks starting 26th April 2014. 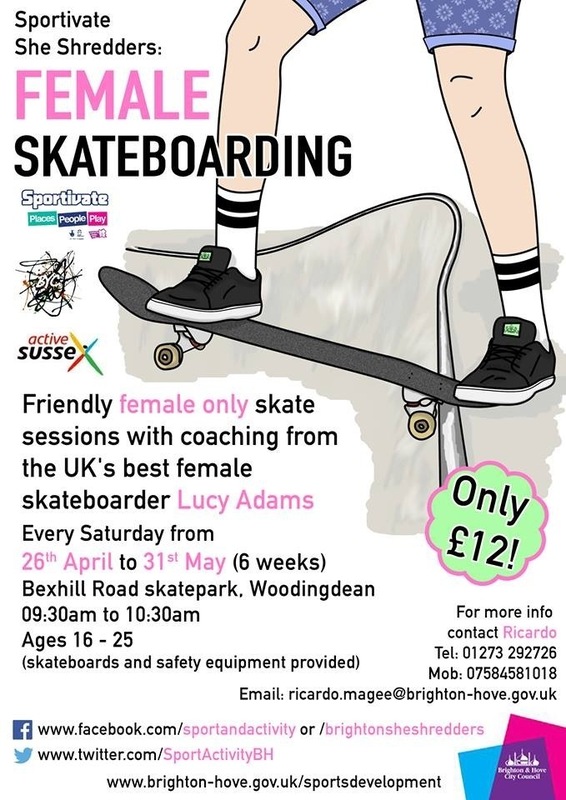 Coached by the UKs best female skateboarder Lucy Adams! Just £12 for the course!